i love nothing better than to sit down with a cuppa and read a good magazine. and since i've become a mummy, magazine time has a whole different appeal to it and is now a luxury item for me. i've been anticipating the arrival of the new peekaboo magazine for weeks now, and today i got my copy, and boy, did it deliver! 40 glossy and gorgeous pages filled with fashion, food, travel, product reviews, awesome competitions and even photography tips. peekaboo is a free magazine, yes free, and i actually felt a little guilty that i hadn't paid for it as it really is a high quality mag! it's got everything i love in a mag; clean pages free from clutter, splashes of colour everywhere, groovy fonts, and information that i actually want to read! peekaboo is brisbane based but should definately not be restricted to brisbane residents. however, i am loving the brisbane shopping map in the middle of the book so i can rip it out without ruining the mag, and keep it tucked in my baby bag for when we're visiting brisbane next time! 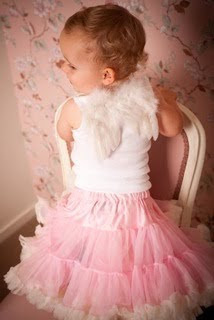 i'm also loving page 16... this little angel is my daughter. 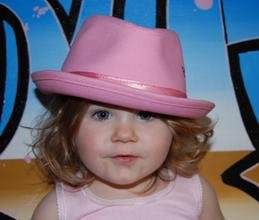 we were lucky enough to catch a model call out for a photo shoot for the mag, and summer (my daughter) totally rocked the camera on the day (much to mummy's delight). she's featured in the vintage fashion section wearing momie et enfant, princess ratbag, indi g pretty little things and shoes from scarlett jade and jett. we had such a fun little outing with the shoot and loved meeting bianca (peekaboo), candice (momie et enfant) and naomi (naomi v photography). the baby/kids/mummy industry is really something else. every day i find new opportunities, not only for my business, but also for my family. i am grateful that i get to meet gorgeous women like these three ladies i met through peekaboo magazine. 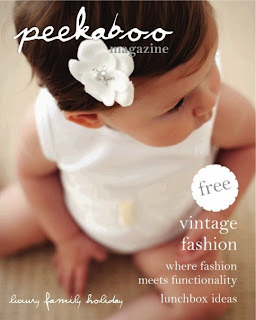 if you would like a copy of this fresh new magazine, then visit the peekaboo magazine brisbane facebook fan page and get in contact with bianca, she'll be more than happy to pop one in the post to you, i'm sure! keeping in theme with my streetwear focus this week, i wanted to let you in on one of the funky new labels that will be arriving at yummy mummies upon our relaunch in a couple of weeks. meet baby base ink. 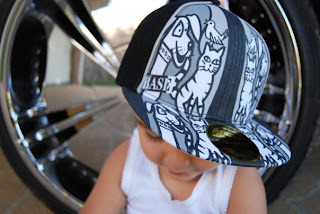 funky street smart headwear for the little people in our lives. 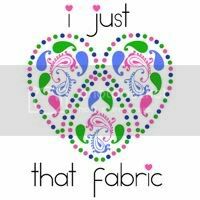 i love the by-line for this groovy label: small sizes, big personality. and these super cool hats give just that. personality! 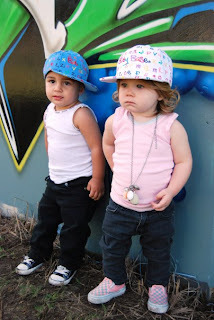 i know that most of us, at some stage or another, have searched for that piece of clothing or groovy accessory that hasn't been seen around the play ground before, something different and in trend (and especially for our boys). well guess what? we found it! the photo above is of base, yep, as in baby base ink. a cool name for a cool baby! base's mum has made all of the designs on these funky hats herself. the detail of these designs are something else and the quality of the hats are second to none. now, i just need to find a way to make my 17 month old keep one on for longer than 10 seconds! 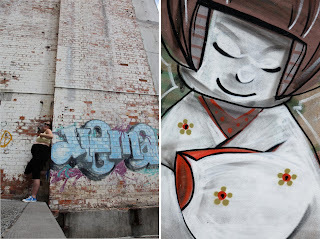 a fortnight ago we hit the streets of brisbane with a couple of camera's and a pregnant woman and her dog, in the search of something different for the back drop for our lady bump photo shoot. lady bump is yummy mummies' own maternity label. shelley was the perfect model; 33 weeks pregnant, willing to try my idea's, not afraid to do a quick clothes change behind a towel, and just plain fun! i have a thing for graffiti walls. i love the rawness of the art and the bold colours. the brisbane powerhouse was our location for this photo shoot. what was once an old power station has over the past decade been converted into a creative arts centre. it worked perfectly for what i had in mind! 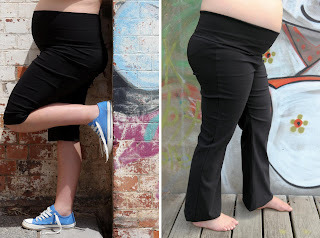 we all know how handy a pair of black pants can be when pregnant, especially for work. but i don't think they should be strictly limited for that. i wanted to put a bit of a street wear twist to my label, incorporate that black pant into a new style; just add a pair of converse's, a 2 chix maternity tee, sunnies, and viola, one super stylin mumma ready to go! 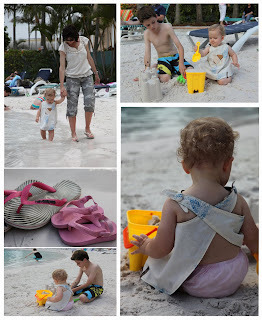 you can find the lady bump shorts and pants on our website. we turned the computer off yesterday afternoon and hit the beach. ok, so it wasn't a real beach on the shore line with waves and all that. but it was still a beach! some of my family members are here on holidays so my daughter and i took the afternoon off to hang out with them at the lovely resort they are staying at. i love a beach like the ones at resorts; real sand, sun chairs, coffee shop and a lovely pool that gives you that beach feel minus the wash and waves. being on holidays is the best feeling. i haven't had a "real" holiday for about 4 years now and after hanging out with my family on their holiday, i'm now itching to plan a first family get away of our own! 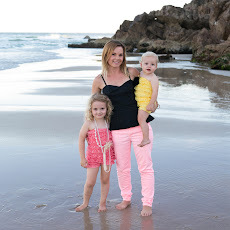 any suggestions on the best holiday spots when you have a toddler? i was meant to be saving these for the relaunch of our new look website that will be up in a few weeks time... but they're just too damn pretty to not share with you straight away! 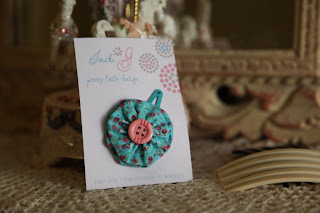 so let me introduce to you, indi g - pretty little things hair clips, a darling little creation from a wahm and her mum! 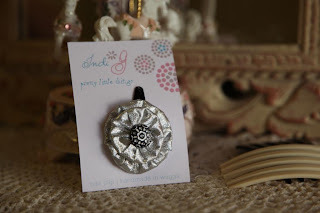 made in my home town of wagga, you have the choice of a single packaged hair snap clip, or a duo package which contains a single hair snap clip and a press stud button feature in the same design, so you can attach it (sew on) to another garment. 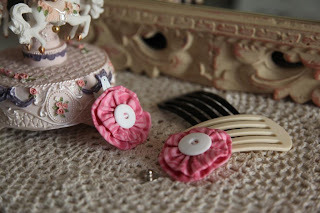 you might like to stitch the button feature onto a singlet, a top, a hat or a headband, or anything really, to make a cute matching combo with the clip. or, if you like, a little tip for if your baby has little or no hair, just clip the hair clip onto her headband! these are going to make fabulous christmas stocking fillers for any little girl (or big for that matter)! and stay tuned for some groovy (and not over the top) christmas clips coming soon! bugaboo. the name says it all. the label has it's own cult! shopping for a pram ended up being quite an easy decision for us. 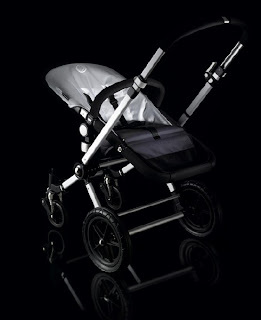 i dreamed of owning a bugaboo but decided i would settle on the strider, that was until we went pram test driving. in a word - wow. the bugaboo has it all. one hand 360 degree turning circle, check. slim body width to fit through those shopping isles, check. low handle bar for us short mummy's, check. light and easy to pack in and out of the car, check. my partner was the one who suggested we lash out and get the bugaboo for all of the great benefits we saw in the pram. it was on layby before he even finished the sentence! our daughter is nearly 17 months old and we haven't had the need to buy a stroller, she still fits into her bugaboo cameleon and will for a while yet. i have nothing but good things to say about this pram. if you're like me and get bored easy, then no worries, change the colour toppings and it's like a new pram all over again! 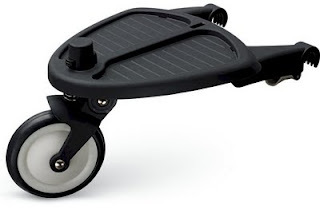 and the accessories... cup holder, parasol, foot muff, snow wheels, breezy, sunshade and just recently bugaboo has launch its new revamped wheeled board. the new wheeled board can be attached to the cameleon, the bee, the frog and the gecko. it makes it easy to roll with two by attaching the board to the chassis with just two clicks. the max weight on the board is suggested to be 20kg's and the rrp is around $165 and will be available in australian stores within the next few months. which means i don't have to give up the bugaboo for if and when second bub comes along. love that! wouldn't mind winning a $75 voucher to spend at our online store? then this competition might just be for you! 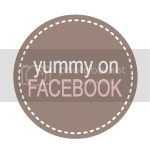 share a pic of your pregnant tummy on our facebook fan page and you could win just that, a $75 voucher to spend at yummy mummies & mini me! but wait, there's more! you'll be spending your voucher in our new styled gorgeous website that we are currently working on. we're hoping for a re-launch at the end of this month and we think you will be delighted with what you'll see. not only will it look fabulous, and we'll still have our favourite suppliers with their cool threads, but you'll find lots of fresh new labels coming on board too! the competition will run for the month of october, finishing on saturday the 31st at midnight (that's australian queensland time, which is non daylight savings time). the person who has the most fan votes wins! all facebook fans can vote! 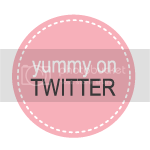 if you see a yummy tummy that you think is fab, just leave your "vote" in the comments section. don't have a yummy tummy of your own to upload? don't worry, we will have another great competition later on this year for you to enter in to win. don't know if you're a facebook fan already? click here to be taken to our page to become one.